As the days gets shorter and the temperatures begin to drop, the thoughts of “are we ready for winter yet?” are beginning to creep into my head. Are we ready for another winter? What if we have another ice storm and are without power for days/weeks? Do we have what we need to get through it? What if we have one of those winters and we get Nor’Easter after Nor’Easter? I’m not a Maine born girl, but I’ve been here long enough (22 years) to know that winters in Maine can be brutal. We can go from a gorgeous blue-sky day with 30F temperatures to -30F (yes, that’s a negative there, NOT a mistake) within a day’s notice. We can go from zero snow on the ground and green grass to 2 feet of snow within a day as well. I am not exaggerating one bit. This is how it can be in Maine. You just never know. In the past 22 years, I’ve experienced some rather brutally cold winters as well as some whoppers of storms. Some of those storms have knocked out our powers for days. Fortunately, my first experience losing power was during college and I was home on college break. This was during The Ice Storm of 98. Roads were blocked by downed trees, driving was quite dangerous (if you weren’t blocked in) as well. There was ice everywhere and we’re not talking a thin sheet of ice either. We’re talking inches of ice. It was devastating. The ice was so heavy it took down trees and power lines across the state. Electricity workers throughout New England came to Maine to assist in the efforts to get residents their power. I think I’m safe to say, the State of Maine was crippled by the ice. There were shelters open in schools, armory’s, churches, and other facilities throughout the state – offering people a warm place to sleep, shower and to eat. My family was without power for over 7 days. I know there were some rather unlucky folks without power for much longer than that. I’ll consider us among the lucky few. Fortunately, I was still living with my parents and they had a portable generator. You know, the kind with the wheels and that when you start it up, you can hear it for several blocks? I remember being ever-so thankful for the heat and the light during that time. That generator provided us with the power to run the refrigerator, oil burner, hot water heater, and lights in selected rooms. We didn’t use these things all of the time, but having the ability to have heat, water, food, and light was considered a luxury during that time. Since that first experience, we’ve had plenty of other storms. Each winter there is usually at least one major storm that will come through and knock down trees and leave us without power. Now that I’m all grown up with a family of my own, living in our own home, the responsibility to keep them warm, fed, and safe lies in mine and Ward’s hands. As each storm comes, I worry if we’ll lose power and what our plan of action will be if we do. Option 1 – pull out the candles and flashlights and stoke up the woodstove (if you have one). For a power outage that is short-lived, this option is okay. But if you are to lose power for longer periods of time, options 2 and 3 may be more ideal. Option 2 – Portable Generator. Like the one described above that my dad has. Option 3 – Standby Generator. So, what’s the difference between a portable generator and a standby generator? A portable generator is ideal for camping, tailgating, worksites and other locations were temporary, portable power is needed. True to its name, a portable generator can be moved from one location to the next and is designed to provide a limited supply of power. When power is lost to a home, some people use a portable generator to power things like a refrigerator, sump pump or lights, however, a portable generator is not the best option for long-term backup power needs. A portable generator runs on gasoline, which means you have to fill it every few hours, which can be challenging during an emergency situation. All items being powered by the portable generator must be plugged into the unit using properly rated extension cords. Most importantly, a portable generator MUST be kept outside in a properly vented area to avoid carbon monoxide poisoning. 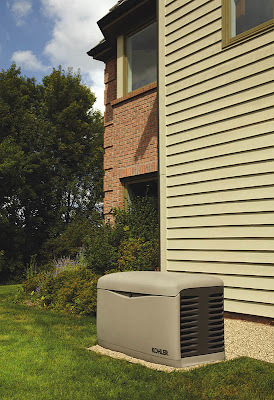 A standby generator, which many experts feel is the best option for homeowners or small businesses, permanently connects to your home, similar to a central air-conditioning unit. It runs on propane or natural gas and connects directly to existing fuel lines in the home. When utility power is lost, a standby generator automatically turns on, typically within 10 seconds. You don’t have to be home to operate the unit. 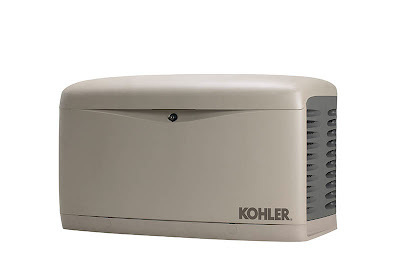 Depending on the size, a standby generator can power an entire home or a few key appliances. · A commercial-grade engine that provides clean, consistent power and can handle heavy loads. · An attractive design. The unit will be installed outside your home, so looks truly matter. · Corrosion-resistant housing, which is important in areas with salt water. · An extended warranty. 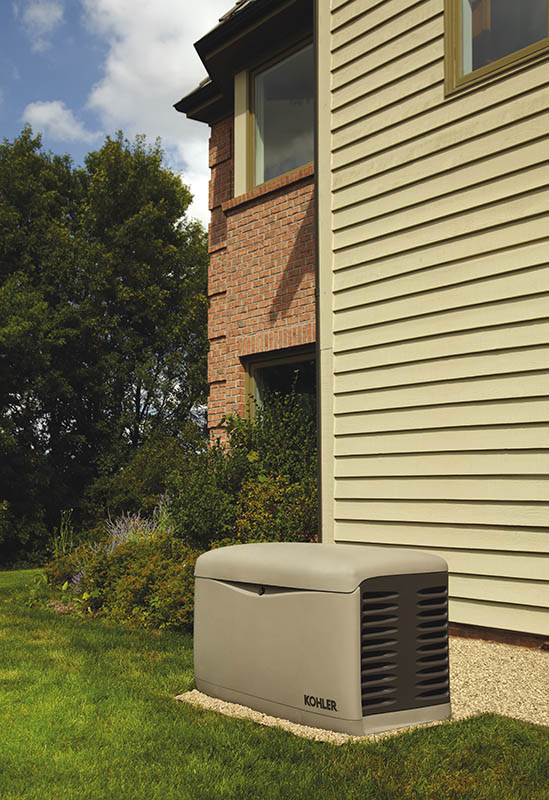 Look for a standby generator with a minimum five-year warranty. 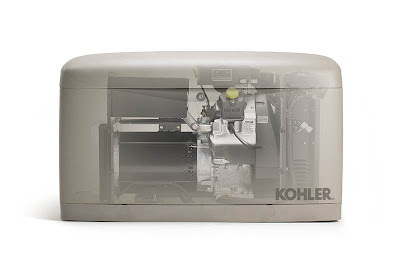 Leading manufacturers like Kohler make it easy to research, size and price standby generators. You can find informational videos, sizing calculators and other helpful tools at http://www.kohlergenerators.com. 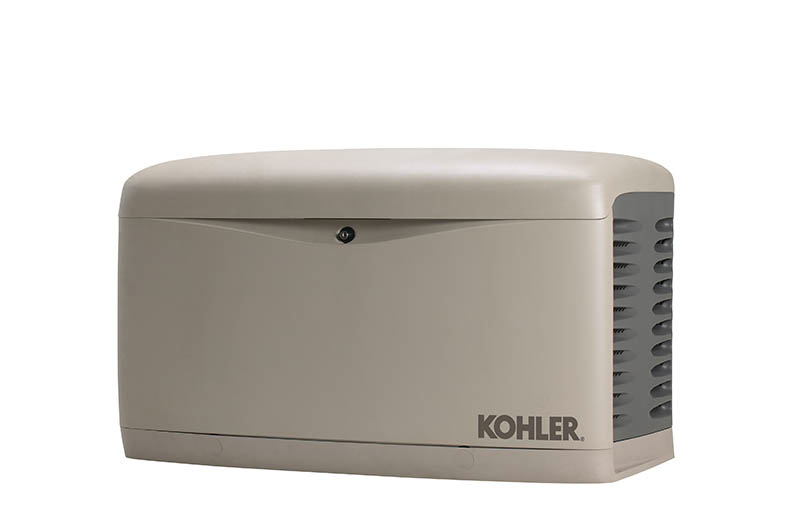 I know after doing my research, I am more apt to invest in a standby generator, like the Kohler generators. I never even knew they existed and thought I’d be stuck with one of those incredibly loud, potentially dangerous portable generators as my only option. It is my responsibility to keep my family safe and warm in the winter, so why would I expose them to more dangerous situations? That just doesn’t make any sense to me. BRRRRR, I complain about winters and ours are nothing compared to yours. We tend to end up with ice b/c it's not cold enough for snow but too cold for rain. Fun fun fun . the house we bought 3 years ago came with a standby generator that powers the whole house. What a luxury! we are doing laundry, watching tv and blow drying hair while the rest of the town is dark and quiet. Best thing ever! I remember that ice storm in '98, we had it in Michigan too and I was a senior in high school. We were without power for a week and thankfully we were able to stay in a hotel for that time. Every storm that we get always freaks me out that we are going to lose power! Those are some crazy storms! We got our fair share in upstate NY too, and now that we're in the south it's hurricanes, although thankfully nothing I've had to deal with yet. Great info! we don't get cold but we get hurricanes! Hopefully one day I will be able to get one of these! WE have pretty brutal winters up here in Alaska and I have only been through one so far - but far worse than when I lived in Iowa, New York, or Ohio....plus the fact that we don't have a real summer makes it feel never ending. Plus up here we get hurricanes without the rain and the generator would have been perfect for that! I'm just up the coast from you in good old Nova Scotia so I get pretty much the same winter weather and I totally remember the ice storm from 98. We found out after the first day that our house is on two different transformers and only one of them had blown so we randomly had power in certain rooms/outlets. It's was crazy! We don't have a generator, but my parents next door do, so we can always sneak over there (we live in a semi-detached house). I remember the ice storm! I was in 8th grade and my dad had to work a lot because he works for the Bangor Hydro. We don't get quite as nasty of weather here and our electricity is pretty reliable (we're close to a substation so they fix us quickly so that everyone else can get power), but my husband (and electrician) has totally thought about buying a generator. I think $$$ is the only thing stopping him. I've seen him doing the research though so I'll never say never.